In a Frontline/ProPublica investigation in 2012 exploring the high fatality rate of tower techs, many hours of footage didn’t make the 30-minute Frontline broadcast. One such interview segment was with Wireless Estimator editor Craig Lekutis who was asked if he would be surprised to find out that a deceased worker had counterfeit training certificates in his wallet, had no training, and that the practice was widespread. Lekutis said he was aware that it was a problem but had no personal knowledge as to the extent of counterfeit certificates in the industry. Wilcox says that educators recognize that there are fraudulent certificates not issued by their training company but are taken back when they learn the true scope of forged certification documents. “Version 2.0 has been up and running for a couple of years as our focus is working with training professionals to help them integrate our protection, and with site owners to improve credible compliance,” he added. 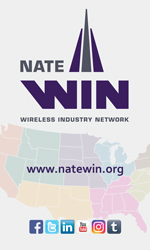 “We have launched an industry survey that will be propagated at NATE UNITE 2019,” Wilcox said. “You can take almost every trainer’s document and make an almost exact duplicate of it, besides, forging a photocopy is child’s play. Recently a Facebook group individual was proudly boasting that he would take care of providing workers with documents for a fee. He ran his little enterprise from his hotel room when he came back from a job site. The post was later taken down,” Wilcox said. Wilcox says QRedentials has verified the credibility of thousands of credentials for hundreds of contractors – mostly telecom companies – and expects a dramatic increase in monitoring activities with the release of Version 3.0. “The key to the success of this mission is in the hands of the truly professional training providers. If they will integrate our process, they will save thousands of dollars, increase their credibility, and stop the fraud for good,” Wilcox added. He says that his company’s ability to document, verify, and manage all forms of credentials provides benefits to educators, site owners, carriers, service providers and contractors as well as to individual certificate holders. “It complements the great efforts of Browz, Avetta and other auditing and contractor management groups,” Wilcox said. “There are cases where project managers have required workers to descend from their workstations to provide their certificates, yet although the weathered/photocopied documents look authentic, there is no way that he can verify them because it’s likely that he’s not going to take the time to contact the training company issuer for every document and every climber,” Wilcox explained. “Plus, oftentimes training company representatives aren’t immediately available to provide documentation. With the QRedentials integration into their systems, verification is provided in seconds because we have automated verification from the producer,” Wilcox added. For additional information about QRedentials or to learn how they can ease your burden of credentials management, visit their website or email Wilcox at Cliff@QRedentials.com for a demo and sneak peek of Version 3.0.